If you’re a recent graduate from college or graduate school, you probably have a lot on your mind – employment, housing, bills, maybe even professional licensing examinations (I’m still traumatized from the bar exam). If you took out student loan debt to finance your education, you should be thinking about your student loans, too, even if you don’t want to. 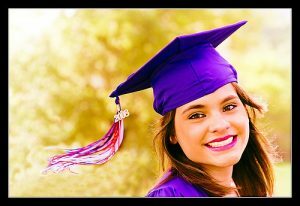 A lot of people have advice and suggestions for what recent graduates should do with their student loans immediately after graduating. However, I have the unfortunate position of seeing what happens when borrowers don’t do the right thing – they may make a seemingly innocuous error or oversight, which can come back to bite them later in a very big and damaging way. The system shouldn’t be so tricky to navigate and so riddled with land mines, but unfortunately, that’s the student loan landscape that we currently have to work with. I am thrilled to announce the release of my new book, The Student Loan Handbook for Law Students and Attorneys, published by the American Bar Association. 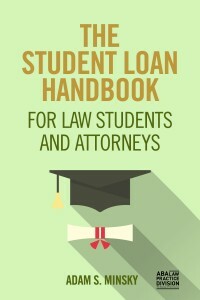 It’s the first and only book of its kind: a concise student loan management guide geared specifically to lawyers and soon-to-be law grads. It’s no surprise that student loan scam operations have been cropping up all over the country. Given the exponential increase in student loan debt burdens, the complete disaster that is our student loan servicing system, and insufficient oversight by the federal government, it’s no wonder that people are looking for help anywhere they can get it. And whenever there are people in need, there are others who are looking to take advantage. Luckily, we’re beginning to see law enforcement crack down. Just last week, the Massachusetts Attorney General announced a settlement with several major student debt “assistance” companies that charged excessive fees and engaged in overly aggressive and deceptive marketing practices. I’ve already written several articles about predatory tactics that these scammers have been employing. These approaches include direct mail that uses official-looking letterhead (making it seem like it’s coming from the government); anonymous, non-credentialed staff selling services that borrowers can obtain for free; and advertising that references the Obama administration to make the services seem more “official.” Once a borrower makes contact and engages with the company, they are often charged excessive fees for services that can otherwise be done completely for free – and in the process, the companies sometimes mess up, make misrepresentations, fail to deliver, or they provide inadequate counseling, leaving borrowers in an even worse position than they otherwise would have been. Income-driven repayment plans such as Income-Based Repayment (IBR) and Pay As You Earn (PAYE) offer millions of federal student loan borrowers the opportunity to have a uniquely tailored monthly payment based on their income and family size. The programs also offer forgiveness of any remaining loan balance at the end of their respective repayment terms (20 or 25 years, depending on the program). Although far from perfect, for many borrowers these programs are the only thing standing between them and default, as “regular” repayment plans based on the loan balance would be unaffordable. 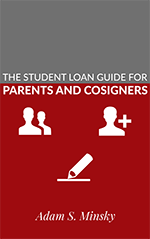 Updated Edition of “Student Loan Debt 101” Now Available! 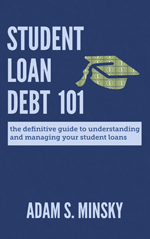 I am pleased to announce that my book, Student Loan Debt 101: The Definitive Guide to Understanding and Managing Your Student Loans, has been re-published to reflect recent changes in student loan law. This second edition contains critical new updates about federal student loan repayment plans, forgiveness programs, and federal default resolution programs. The book is available in paperback and Kindle format, so check it out! There’s somewhere around $1.3 trillion in student loan debt out there, and millions of individual student loan borrowers. Those numbers are only going to continue rising, as evidenced by statistics from the Classes of 2015, 2014, and 2013. Over the past couple of weeks, I have discussed student loan consolidation, where you take out a new student loan to combine several different student loans, and student loan modification, where you change the terms and conditions of an existing loan. Today, the topic is student loan refinancing. Last week, I discussed student loan consolidation. Today’s post is about student loan modification.